Having a child sitting in comfort in a reclining umbrella stroller while you are out and about is very important. Its already hard enough trying to keep them in a stroller but if they are uncomfortable it could make them resist the reclining umbrella stroller even more! Reclining umbrella strollers are on of the best stroller setups you could want when picking out a stroller. The minimalist functionality with these strollers allow them to be light and versatile which is perfect for any mom struggling with kids already. Keeping comfort and reclining in mind, we have selected the top 3 reclining umbrella strollers out in the market today. 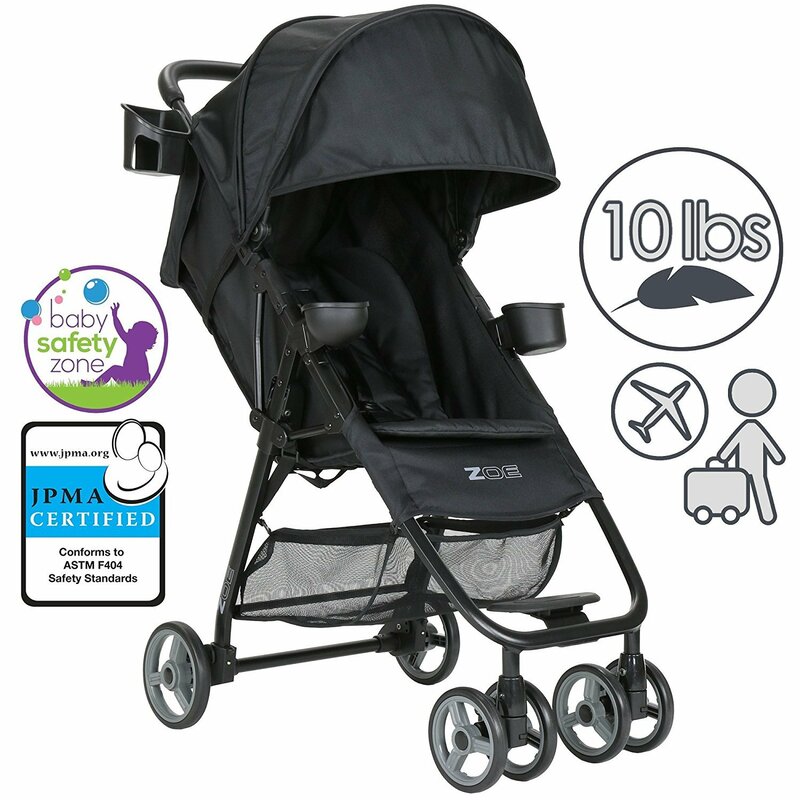 The ZOE Umbrella XL1 Single Stroller is the perfect combination of comfort and ease of travel. The stroller is very light at 10 lbs. yet is built tough. Normally with lighter stroller the frames aren’t that strong but this stroller can withstand quite a lot with its aluminium frame. The fact that it is so light makes pushing it a breeze even with your child sitting in it. If you travel a lot then this stroller is great as it can easily be folded even with just one hand, making it easy to manage with cars and airplanes since it fits in the trunk and overhead compartments. To make things simpler for parents, the stroller comes with cup and snack holders for your child along with a cup holder for parents. To protect your child from the sun and rain there is a huge canopy. To provide your child with comfort as they sit the seat can be reclined up to 135 degrees. So your child can easily relax as you take them around the city. This makes is the top reclining stroller in the market today. If convenience is important to you then the 3Dflip is the stroller for you. This reclining umbrella stroller comes with a unique design that allows you to have your child face you as a baby, so you can easily keep an eye on them, and as they you can flip the chair so they can see the surroundings. 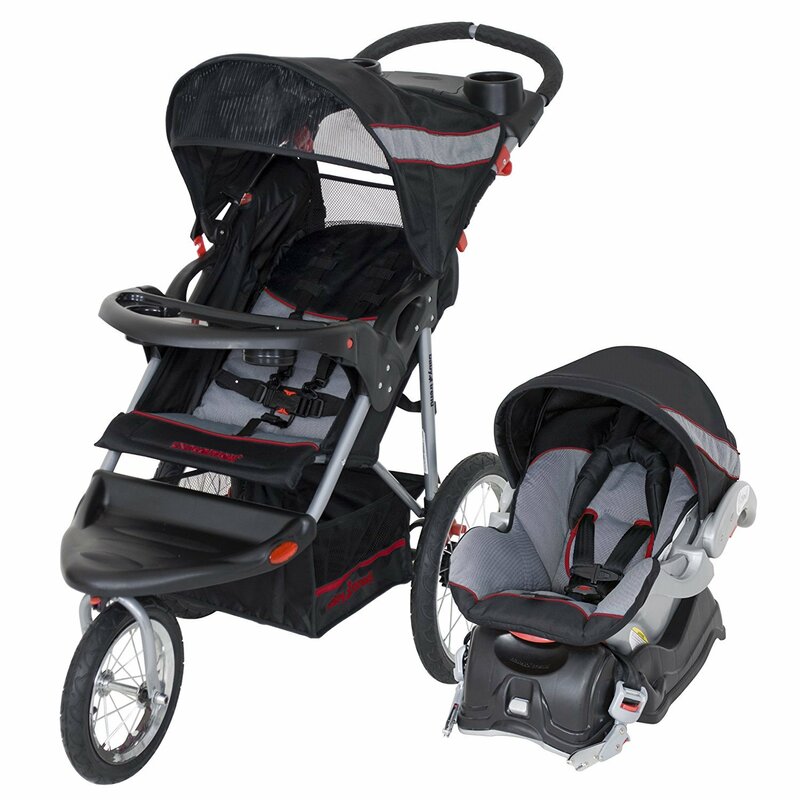 To provide your child with comfort, the stroller has a 3 point reclining system in both direction. So no matter if your child is facing you or the other way, they can sit in comfort. Along with the seat, the canopy also changes direction so they are protected from the UV rays at all time. The stroller has a decent aluminium frame and weighs 14 lbs. making it easy to lug around. It is easily foldable so traveling with it is not a hassle. 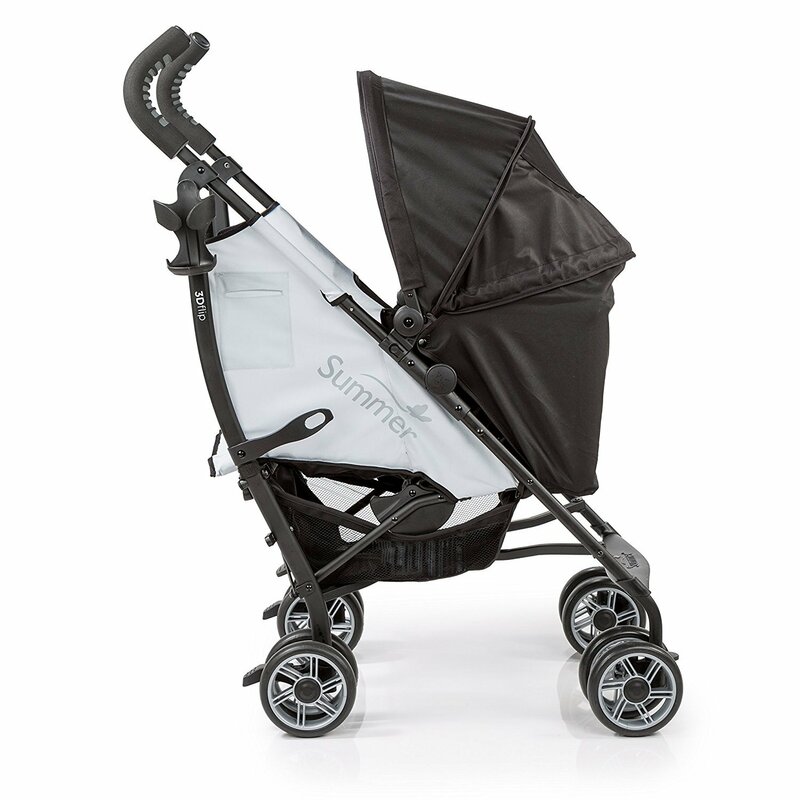 So if you have a baby and want to provide them with comfort while also keeping an eye on them as you move about the city then the Summer Infant 3Dflip Convenience Stroller is a great fit for you. With padded seats and multi-position reclining system, the Baby Trend Expedition LX Travel System is a wonderful stroller that provides great comfort to your child. It’s quite durable also as it can hold a child up to 50 lbs. The canopy on the stroller isn’t as protective as in the 3Dflip and Umbrella XL1 but it provides a decent amount of protection from the sun. The stroller comes with big wheels, bigger than the other two strollers on our list. This makes getting around much easier on the toughest of terrains. It doesn’t hurt either that the stroller comes bundled with a car seat which is quite comfortable. So if you want a stroller and car seat combo that provides great comfort for your child then the Baby Trend Expedition LX Travel System is perfect for you. 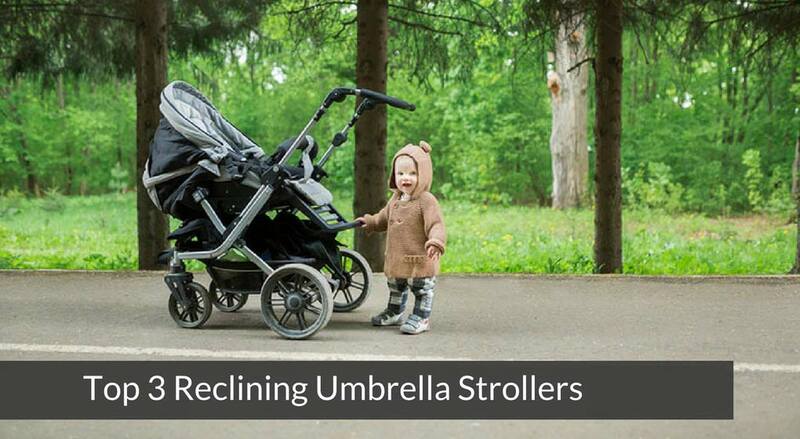 Reclining umbrella strollers are all about providing your child with comfort. You need to make sure the seat of the stroller is well cushioned so your child can recline in it with ease. All three strollers on our list provide great reclining option however the Umbrella XL1 and 3Dflip’s seats are slightly more comfortable. This doesn’t mean Expedition XL isn’t a good stroller, it is just the seat is slightly stiff. If reclining and protection from the sun is on the top of your list of priorities in stroller then you can go with any of the above three strollers.